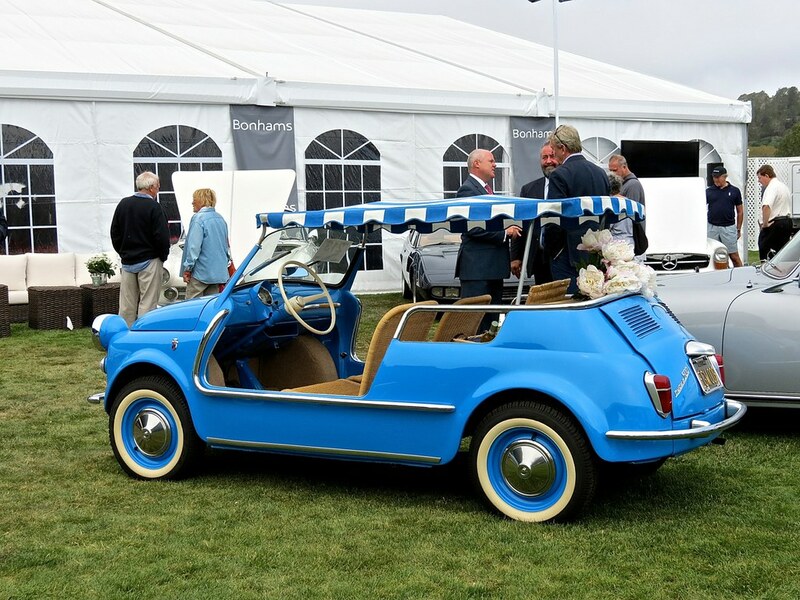 This immaculate 1959 Fiat 600 really caught my eye at the Greenwich Concours this year. 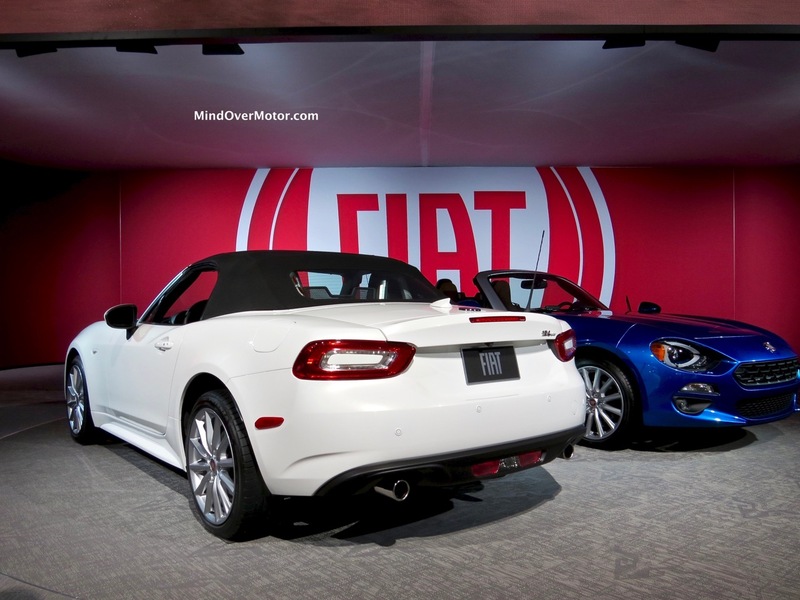 It was funky like a Fiat should be, and the detail work, both inside and out, was fantastic. 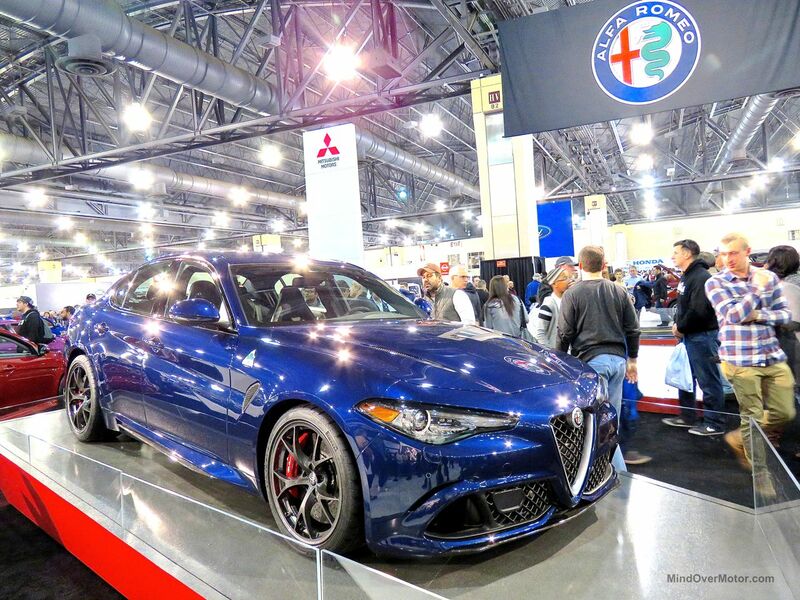 This is the flavor that every Italian car should have! 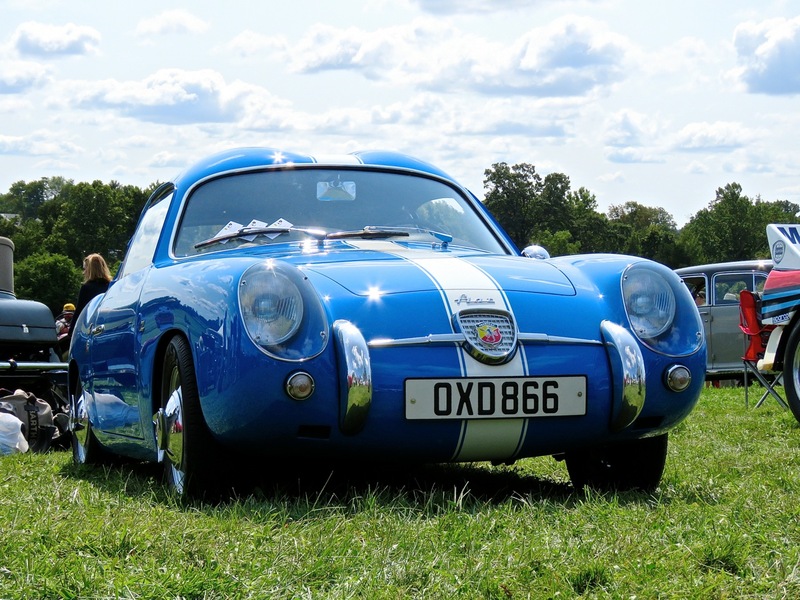 This adorable little firecracker is a Fiat Abarth 750 GT Zagato. It’s a Fiat 600 chassis underneath, but turned up to 11 by Abarth. With an extra 150cc under the hood, it has all of 43hp to move its scant 1250lbs. That may not sound like much today, but these were serious racecars back in the 1950s and 1960s. I bet a racing series with a bunch of light nimble machines like this would be an absolute riot. But it’s about more than just speed. 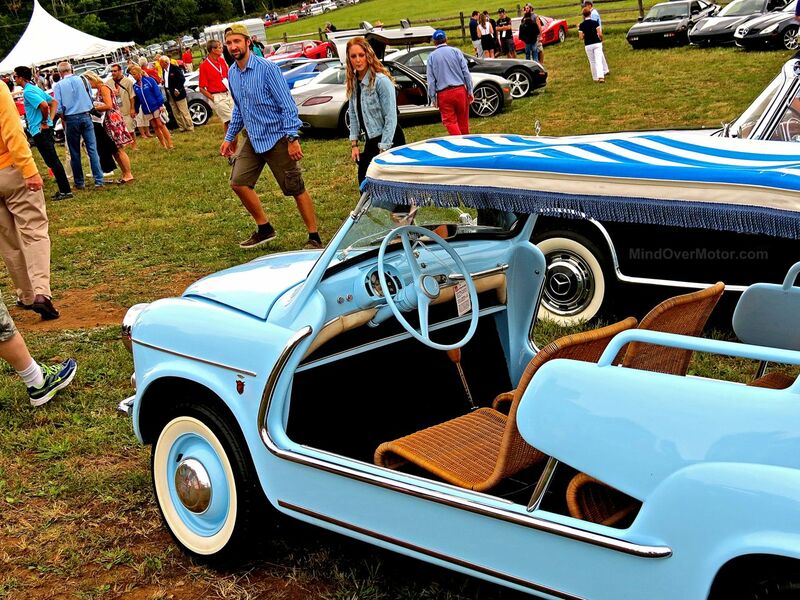 This little Abarth has so much flavor, so many fine details that give it such a classic Italian style. Any car Zagato touches becomes a masterpiece. I just love it! 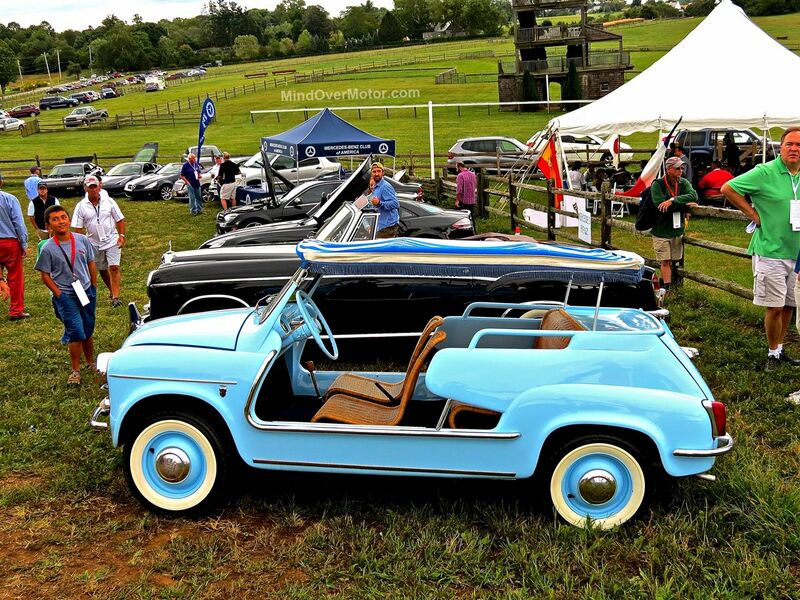 This Fiat Jolly is the bluest of blues! 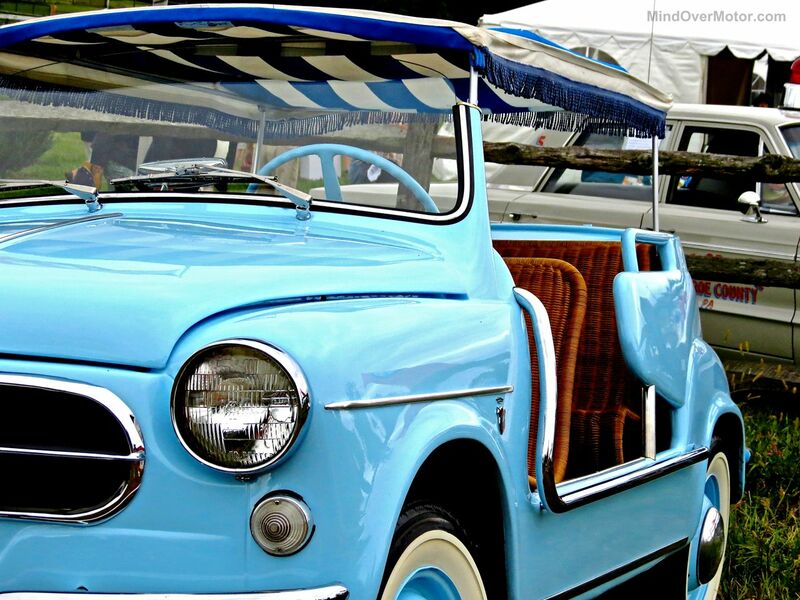 Is there a more Italian car than the Fiat Jolly? 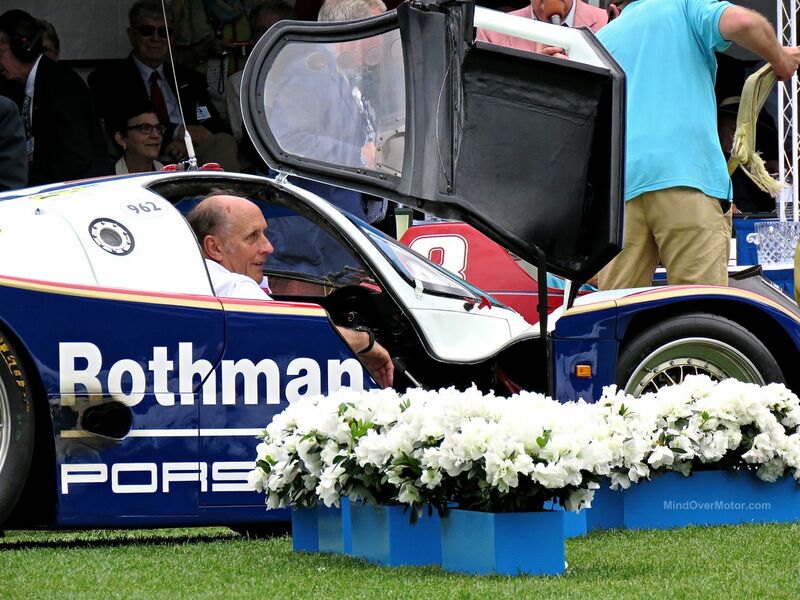 I mean, yea, there are the Ferraris and Maseratis of the world, but they take themselves a little too seriously. 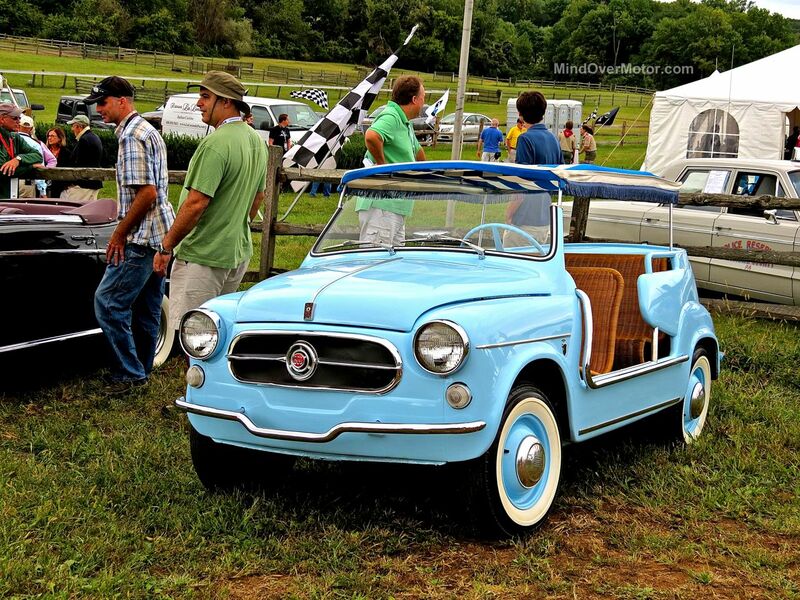 The Fiat Jolly, on the other hand, is all about taking the day off and going for a picnic at the beach in style. Now what’s more quintessentially Italian than that? Unfortunately, while it may seem like one of life’s simple pleasures, Fiat Jollys are quite expensive nowadays. This one sold for $88,000 at Bonhams auction, and that’s a pretty pricy picnic. 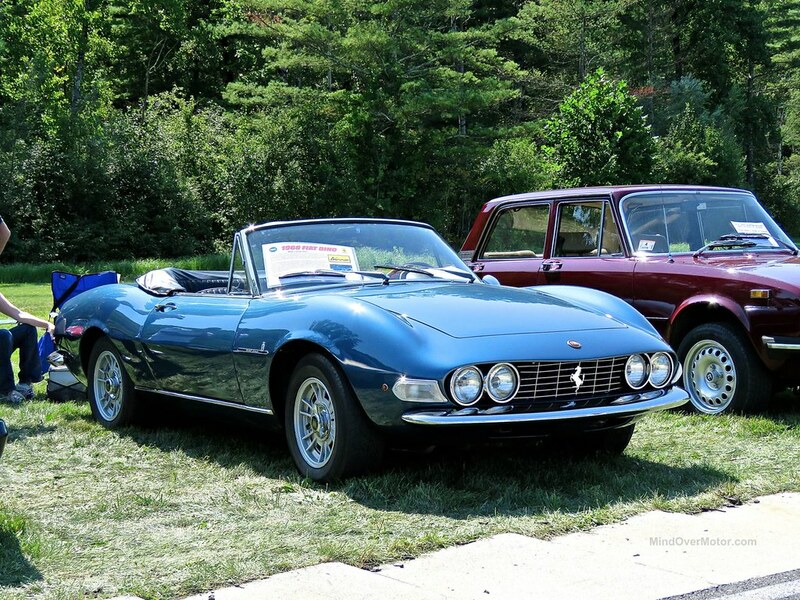 The Fiat Dino is one of my favorite classic Italian roadsters. It’s got Italian style, with a friendly Fiat badge on its hood, and a Ferrari engine underneath where it counts. 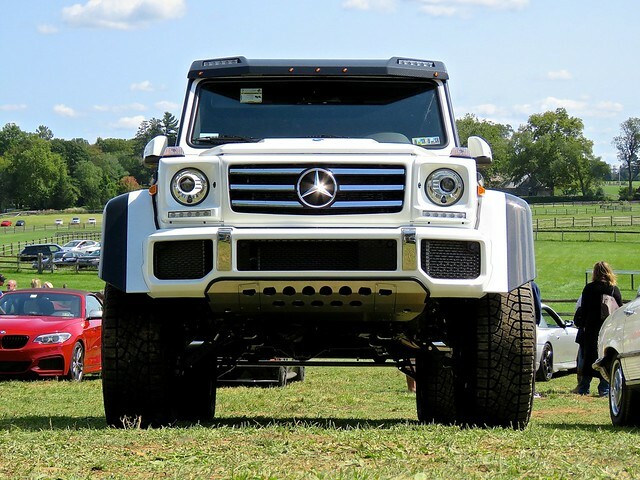 To say I want one is an understatement, and it’s always lovely seeing them in person at events. With all of my doubts about the new Alfa Romeo Stelvio as a reliable-enough daily driver voiced earlier, I thought we should look at what makes Italian cars so special. Naturally, we can leave it to Petrolicious to paint the perfect picture. 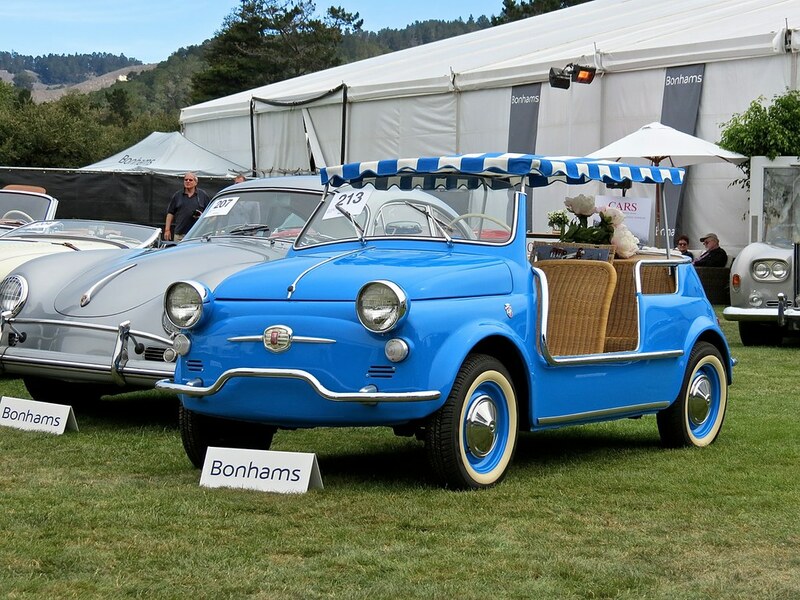 It’s Italian, it’s stylish, and it’s downright adorable! 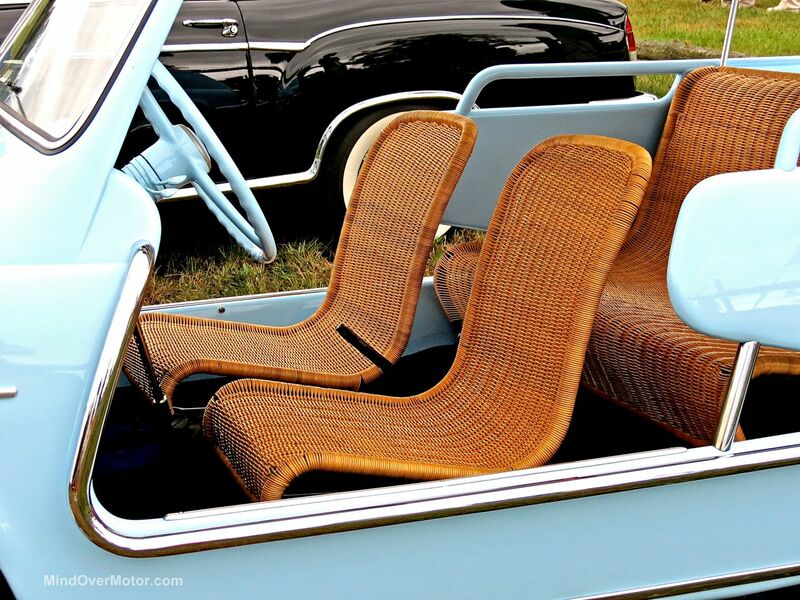 Of course the Italians would master the very essence of a beach car, and it’s hard to describe exactly how much I want to own a Fiat Jolly someday. I mean, just look at it.